It was a bad week for clean water. It’s been one month of the Trump administration, and what a month it has been. Trump is already at 38 percent popularity in the polls. Usually presidents have to let a large American city drown after a hurricane to reach these levels of unpopularity. But aside from all the gaffes, wild press conferences, and Twitter tirades, what has the administration actually done? Here’s are the things you need to know about this week that really matter. 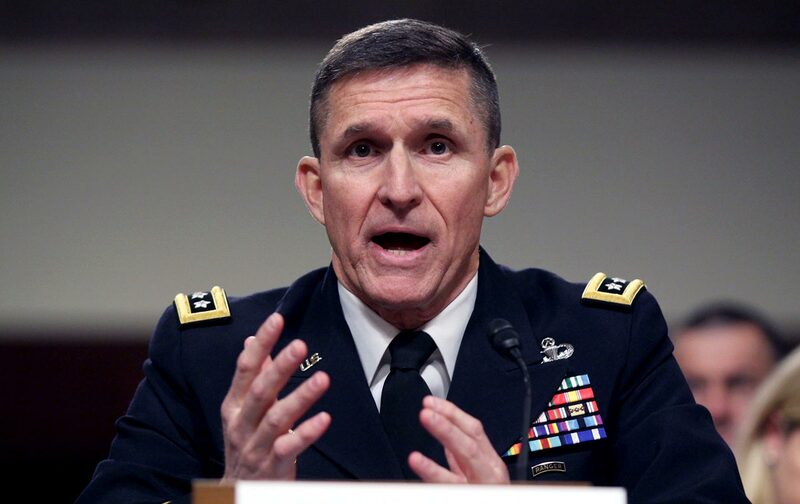 Fired National Security Adviser Michael Flynn. Flynn really pulled off a unique feat here—he managed to get canned from two top national-security jobs in three years, by two different presidents. Trump said Thursday he fired Flynn for lying to Vice President Mike Pence about whether, while Obama was still president, he discussed easing sanctions on Russia with Russian Ambassador Sergey Kislyak. (It appears Flynn also lied to the FBI about this point, which will be big trouble for him.) But Trump also said he didn’t believe Flynn did anything wrong in discussing the sanctions, and that he didn’t instruct him to bring that up, but that “I would have directed him to do it if I thought he wasn’t doing it.” He also decried the coverage about the incident as uniformly “fake.” Something isn’t quite adding up here, and we wouldn’t be surprised to see this story back in this weekly feature many times in the coming months. Pulled back a defense of an Obama-era transgender protection effort. The Obama administration issued guidance last year that required that transgender students be allowed to use bathrooms that match their identity, with an interpretation Title IX nondiscrimination rules. A Texas judge issued a temporary injunction blocking the guidance last year, and the Department of Justice under Attorney General Loretta Lynch was planning to defend the Obama protections in court. But almost immediately after Jeff Sessions was confirmed as the next attorney general, DoJ said it won’t contest the judge’s ruling. Nominated a new secretary of labor. After the original nominee, Andrew Puzder, withdrew his name—following a domestic-violence scandal and the revelation that he’d hired an undocumented housekeeper—Trump nominated the conservative lawyer Alex Acosta to replace him. Acosta once clerked for now–Supreme Court Justice Samuel Alito, served on the National Labor Relations Board under George W. Bush, and later as an assistant attorney general for the Department of Justice’s Civil Rights Division. In the latter role he supported an effort by Ohio Republicans to challenge the registration of 23,000 voters. Issued a new Obamacare rule that makes getting coverage more difficult. The Trump administration proposed a new rule to “stabilize” the health-insurance marketplaces. But, as David Dayen writes, they “look more like rules to increase the hassle of obtaining coverage.” The proposal cuts in half the time people have to sign up for the insurance exchanges. People trying to enroll at other times because of a significant life event—unemployment, for instance—would face have to meet stricter verification standards. “This is the equivalent of putting an insurance-company storefront on the eighth floor with no elevator, so people too infirm to make it up the stairs cannot apply,” writes Dayen. Stepped up immigration raids. As of Monday, more than 600 people had been arrested in Immigration and Customs Enforcement raids in at least a dozen states. They included a transgender woman who was seeking a protective order against an allegedly abusive partner, and a 23-year-old “dreamer” who was detained when ICE officers came to arrest his father. About a quarter of those detained had never before been convicted of a crime. Listen to George Zornick discuss Trump’s actions on the Start Making Sense podcast.